The best place to stay by Johns Pass! This place is amazing! I absolutely love the location, all is in walking distance, the beach/ocean is right there, the new pool is amazing! I just LOVE this place, will always stay here when hanging out in Johns Pass!! We have been there three times and we love the new pool area and the upgrades as well as the BBQ area. We can’t wait to come back and see the additional rooms and rooftop bar that’s being added. We will back for our anniversary. The view was amazing! Hotel is close to everything, food, pubs, entertainment, beach. Had little ants but that was only in the bathroom, they did not bother us. Didn’t notice them until I dropped my keys on the floor. But a great place, front desk super helpful, not to mention previous guest leave things behind so you can use on the beach. We really enjoyed our visit to Barefoot beach club! It was RIGHT on the beach and the rooms were a decent size. Lovely pool and the staff was helpful and prompt with all our needs. So close to John's Pass too! We absolutely love this place! 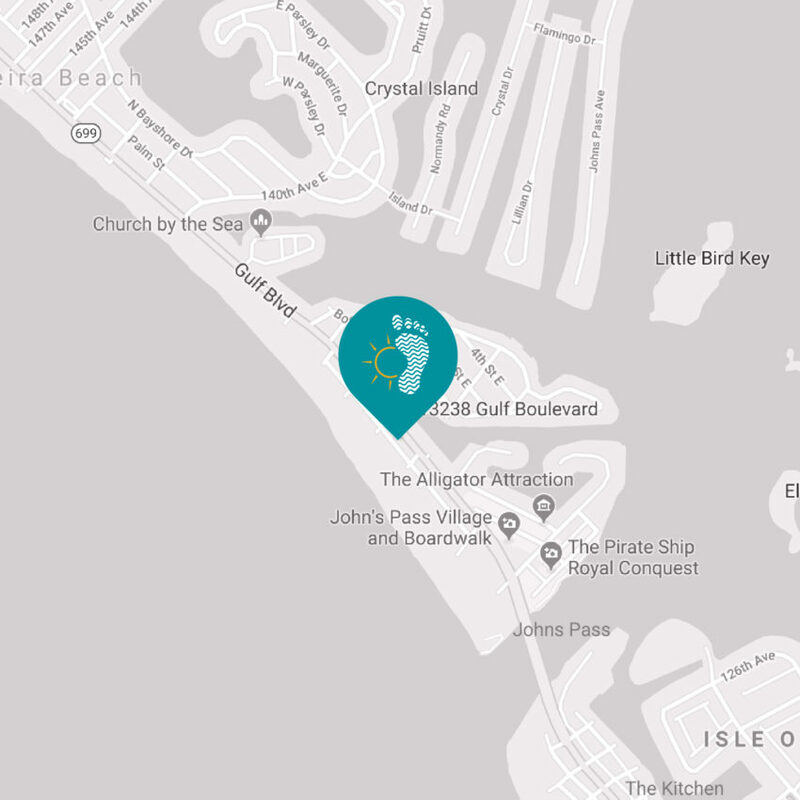 Walking distance to Johns Pass & restaurants. Beach access just as couple of steps away, & a new beautiful swimming pool. We have stayed here several times,& will continue to keep coming back.